— Only one real estate agent is involved. — The seller wants a preapproval letter from a lender before accepting an offer. — There is little, if any, room for negotiation. — The home comes as-is, and it’s up to the buyer to pay for repairs. On the upside, most bank-owned homes are vacant, which can speed up the process of moving in. The first two steps in buying a foreclosure should happen almost simultaneously: Find a real estate broker who works directly with banks that own foreclosed homes and get a preapproval from a lender. Elaine Zimmerman, a real estate investor and author, recommends that shoppers first visit any site with a database of foreclosed homes. You also could look at a local real estate website that lets you filter the results to see only foreclosures. You might find the acronym REO, which means “real estate owned” (by a bank, that is). This signifies that a home has been through foreclosure and the lender is selling it. 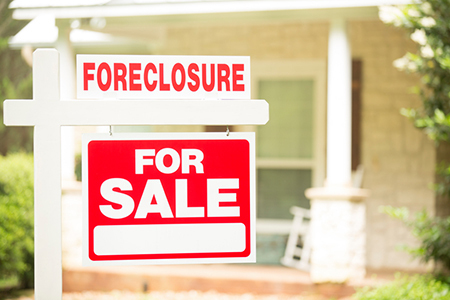 The goal of combing through foreclosure listings is not to find a house; it’s to find an agent. Banks usually hire a few real estate brokers to handle their REO properties in a market. In a lot of cases, the buyer works directly with the bank’s broker instead of using a buyer’s agent. That way, the commission doesn’t have to be split between two brokers. Unless you plan to pay cash, you’ll need a recent preapproval letter from a lender. The letter will describe how much money you can borrow, based upon the lender’s assessment of your credit score and income. Jensen further counsels to look at the “absorption rate for your product class.” That means you should find out how quickly comparable houses are selling. In foreclosure, a 3,500-square-foot house with a pool in a gated community might sell within days or hours, whereas more modest homes might sit on the market for weeks. Jensen and Zimmerman recommend getting to know tradespeople who can assess and repair damage from pests, mold and leaks.